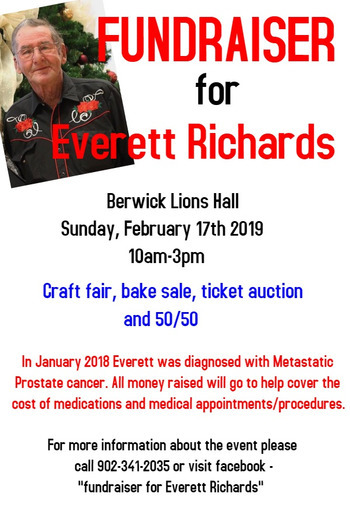 Everett Richards has been a long time resident of the Town of Berwick, of which he spent 19 years as a member of the Berwick and District Volunteer Fire Department. On January 29th, 2018 Everett was diagnosed with Metastatic Prostate Cancer, soon after a scan revealed that the cancer had spread to the base of his skull, spine, arms, elbow and hip. Medical bills, as well as the cost of prescriptions, have become overwhelming. There will be a benefit fundraiser including a ticket auction, 50/50, vendor fair and bake sale. A canteen will be available serving tea, coffee, muffins, soup, chili and rolls. 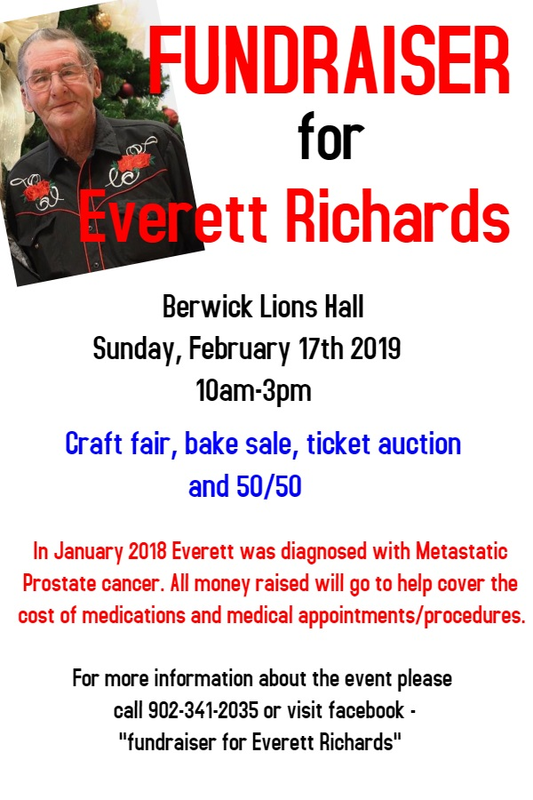 The proceeds from this day will go directly to help ensure that Everett will be able to continue his necessary medications and help pay for medical bills.